Interestingly, it’s important to read this article knowing that a little bit of creativity put into the mix isn’t at all bad for your business. Creativity and innovation aren’t just part of conceptualizing campaigns and advertisements, but are also essential when it comes to making sure all our funds are used appropriately. 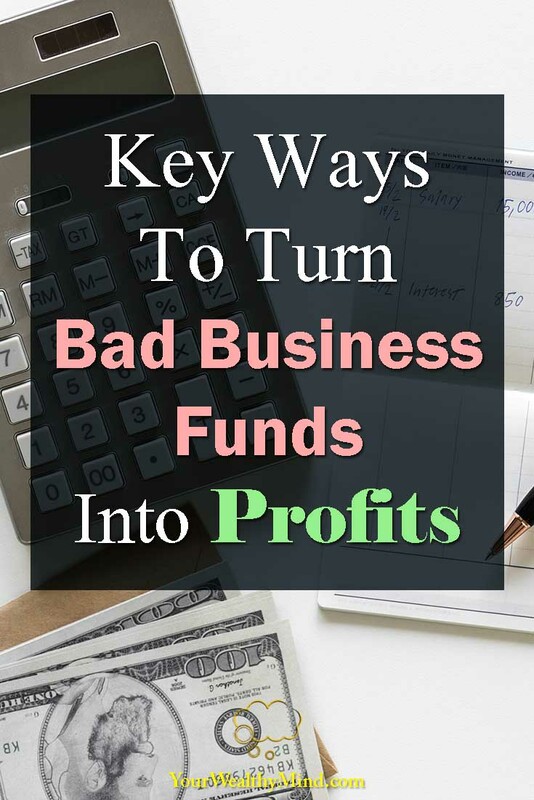 If you think you need help in making sure these key ways to turn bad business funds into profits can fit your business model, then perhaps it’s also a good idea to consult a financial professional in order to get helpful insight that is useful in your situation. One of the best ways to make sure bad business funds get turned into profits is knowing what we have and how we want to use them. According to Chron, one way to do this is to make sure we know just exactly what we have and move on from there. This means it’s best if we order our personal credit reports and see just what we have with us, including the debts we owe. Remember, make sure you check the information and see if everything is accurate. These include accounts you already paid off but weren’t reflected, as well as wrong information. 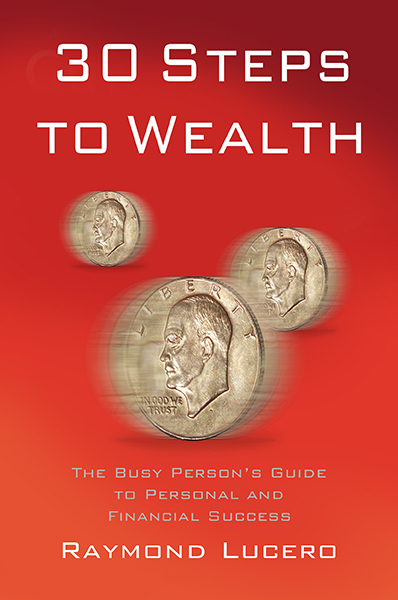 Try to assess your financial statements and be organized. You can arrange them per debt, or what you need to complete, or in a way that you think suits your organising skills best. Make sure you list them appropriately, so that all of your assets and statements are in order and you have data with you all the time. The tricky part now is to check just what you have in excess, and decide how you want to use the funds. Debt can count as excess finances when dealt with correctly, and you can decide on how to use debt as well. Having an idea beforehand can help make turning bad funds into profits easier. For instance, if you’re currently renting a building, you can swap a mortgage payment with rent. In the same token, credit lines can also help alleviate the hassle of paying for seasonal purchases. Now that you have a vague idea on how you want to use your funds, it’s essential that you’re aware of accounts receivable or invoices that are outstanding and due for pay. If you can, pay off the liabilities that you have to pay especially if they’re past their due date. If you can, try to deposit these payments in the account of the business, so they appear as liquid assets. Now that we have a vague idea on the kinds of funds and debt we have, we can at least formulate a plan on how to use them appropriately. 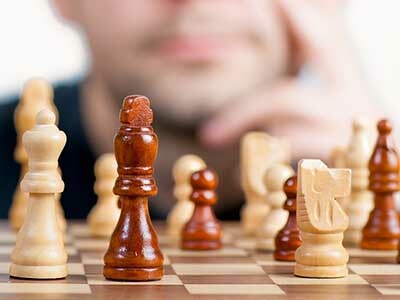 These plans of course aren’t the same across all businesses, but being aware of the general possibilities can more or less allow you to develop a strategy that fits your business structure. Alternatives are key, and it’s wise to remember this. If you don’t think your company is earning enough or saving enough, then don’t hesitate to alter your plans accordingly. It’s not too late to reassess and take a step back, as this can be one of the many ways you can save expenses. Consult with your team and your managers as to the departments you think need fixing. In the same token, try to assess the expenses you have and cut on funding that isn’t being used properly. Examples are subscriptions you aren’t using, equipments that aren’t functioning properly, and services that aren’t exactly needed. These can help generate spare funds you can use to invest in the company more. If you have loans, try to communicate with your creditors and negotiate better deals or lower interest rates. Debt consolidation can sometimes help you if you have debts you can’t always pay attention to due to your obligations. Sometimes negotiations can help find your company better deals. Remember, even in business, things only ever remain bad if we let them. Sometimes, we just need to have a dash of creativity, innovation, and a bit of planning in order to ensure that even the worst situations turn out to be the best opportunities. Luck favors the prepared, and as a business, we can strive to be prepared for anything. 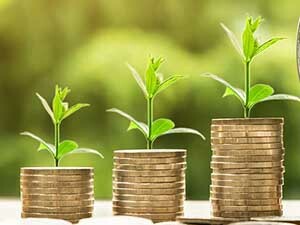 Smart business owners like Oink Money, make sure their businesses stay profitable for a long time, but perhaps the keenest of business minds make sure every moment can turn into an opportunity – even bad ones. In the case of the above, perhaps it’s time to pay more attention to the kind of funds we have and to use them to our advantage, even if they seem to be bad business funds. Granted, following the key ways to turn bad business funds into profits is a risk in on itself. However, if your financial analyst or a financial professional says it’s a viable move for your business, it’s worth a shot. 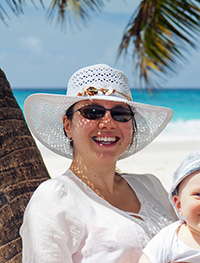 Sarah Porter is a money-savvy writer and mum of two based in Manchester, UK. She is the Brand and Marketing Manager at the UK loan website Oink Money (oinkmoney.com), as well as the founder of a well known money-saving website. Sarah is originally from Edinburgh where she studied Business and later worked in finance for a FTSE 100 company. She left her career in finance to pursue her passion for writing, a move which allowed her to travel the world with her laptop while running her blog.